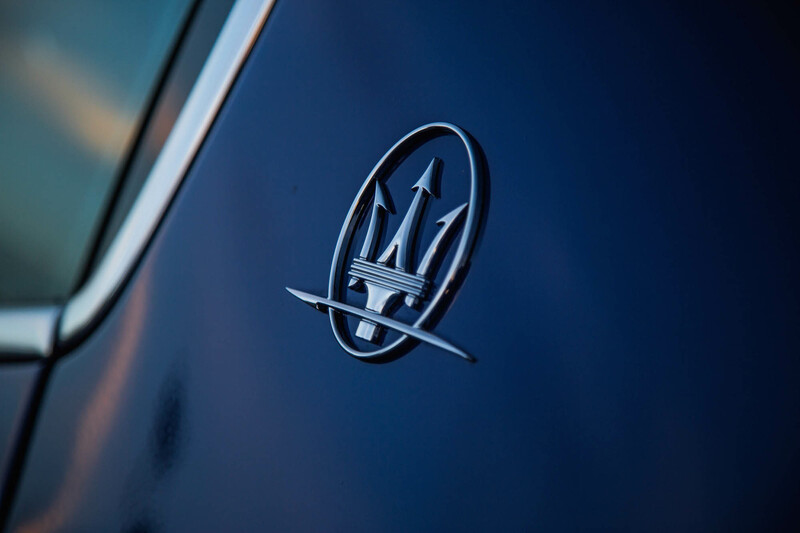 Maserati has a goal, and it’s a big one. 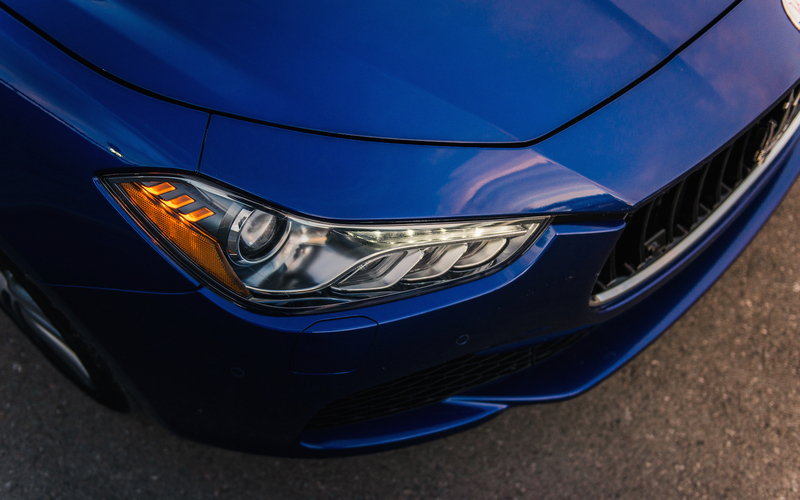 The Italian automaker wants to sell 75,000 cars annually by 2018, so they are in the process of investing a helluva’ lot of money for one spectacular lineup of vehicles. 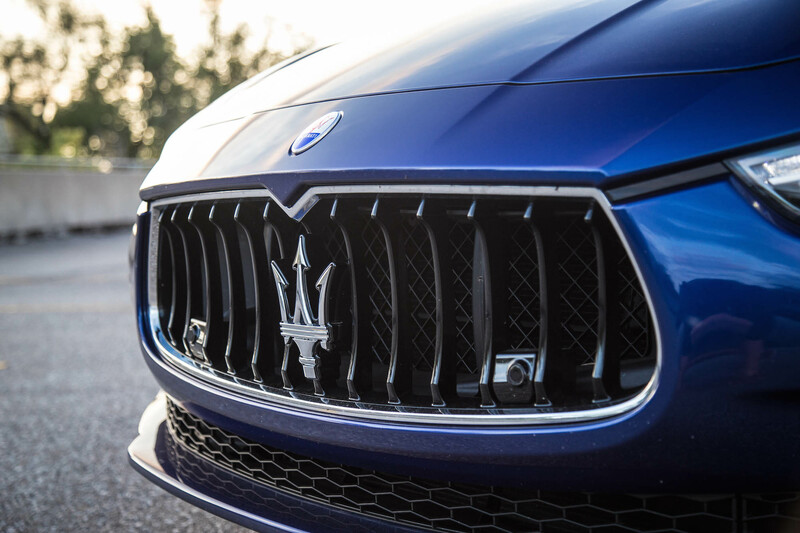 Worth mentioning is that the new and highly anticipated Levante SUV is hitting up our shores soon, but we recently got hold of an arguably more important Maserati, the Ghibli. 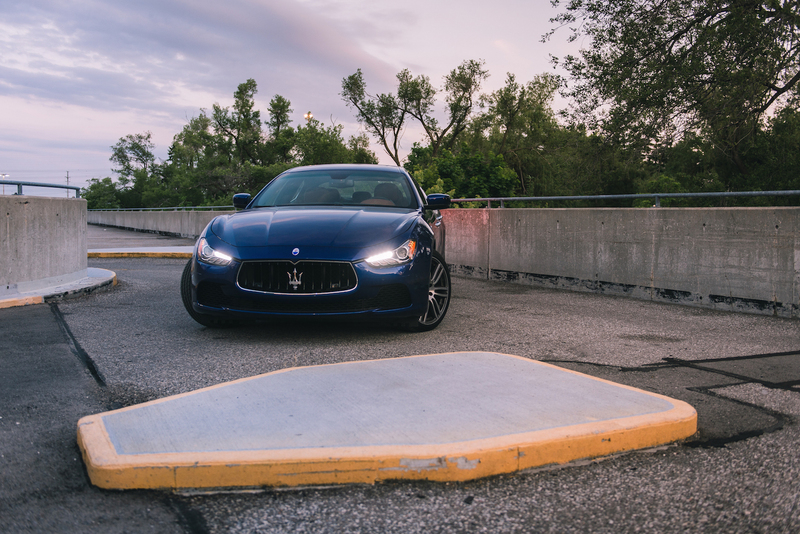 Maserati’s bread and butter mid-size sedan has been on sale for two years now, but this is the first time we’re testing it out on Canadian soil. 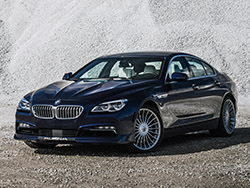 The Ghibli has got a tough crowd to please, as it’s going up against a handful of established competitors such as the BMW 5 Series, Mercedes-Benz E-Class, and Jaguar XF, notably with a higher price tag too. 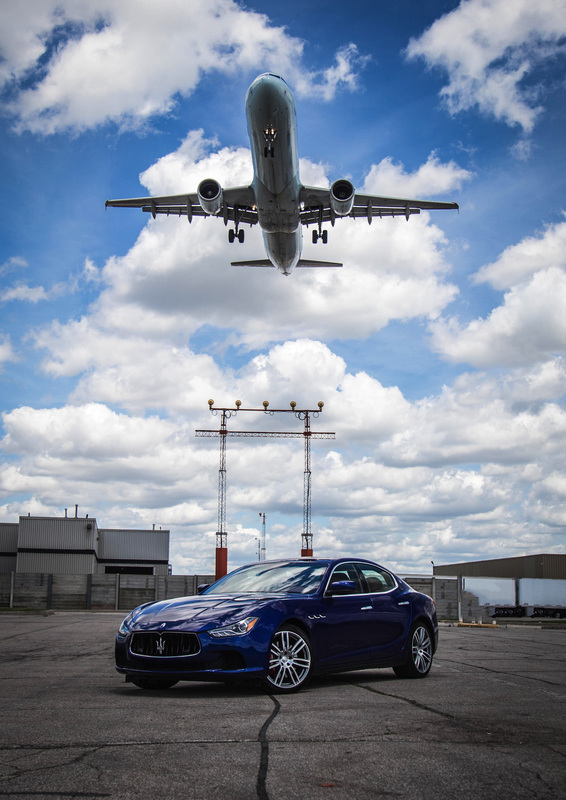 What it may lack in experience, it certainly aims to makes up for in flair, exclusivity, and an Italian racing pedigree. But does it live up to the hype? 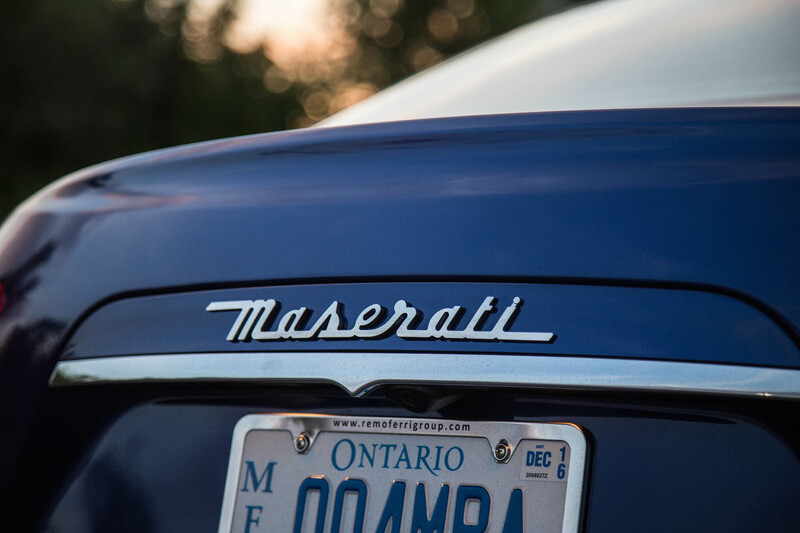 And does it have what it takes to push Maserati forward to success in the True North? That’s what we are here to find out. 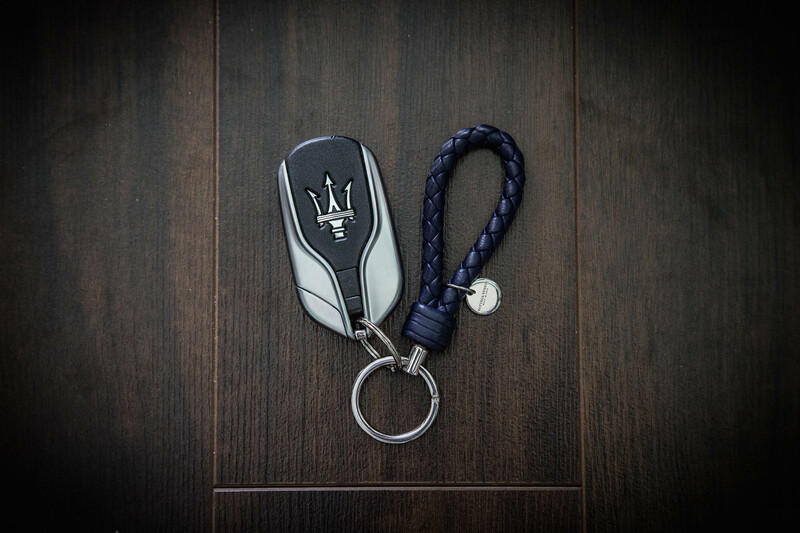 It all starts with the Ghibli’s key fob, which is as heavy as it looks. Larger than an Aston Martin’s and noticeably chunkier than a BMW’s, it’s almost as if the entire company’s weight is resting on its shoulders. 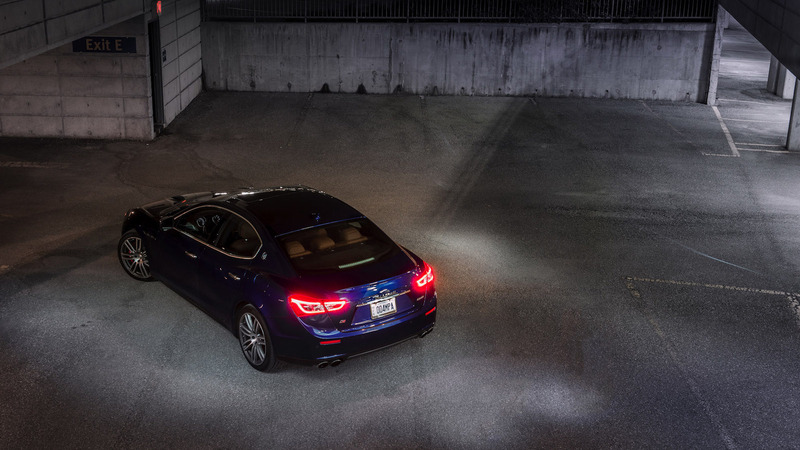 Hit the unlock button and a beautiful strip of LEDs awaken, helping to accentuate the deep shark nose and aggressive coupe-like stance. If Leonardo Da Vinci were to design a car, I’d like to think it would look something like this. The polarizing front end and oceanic Blue Emozione paint ($1,000) seemed to catch everyone’s attention, but hop inside and it’s a much more sedated environment. The layout is simplistic, but you can tell that every detail has been given meticulous attention. Take for example the optional paddle shifters. 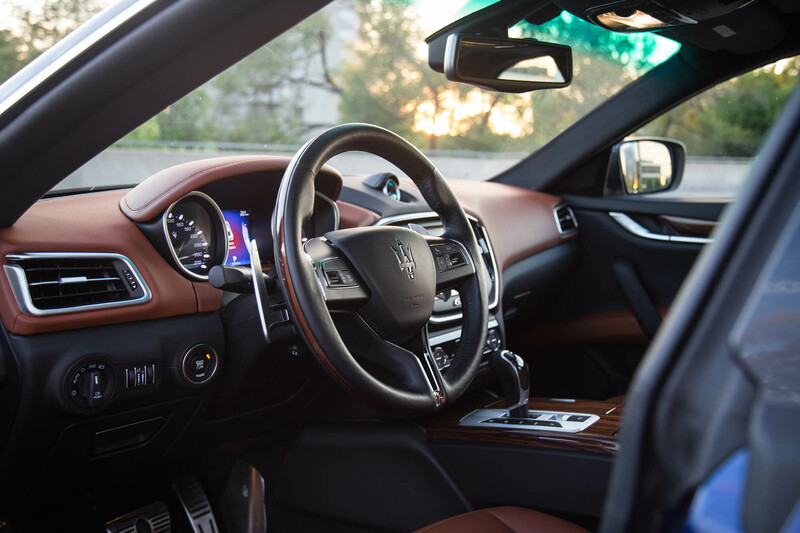 They are L-shaped and column-mounted, and are also the vanguard to the air vents, meaning they are always cold to the touch and chunky enough that it feels like you’re pulling a rifle trigger every time you change gears. 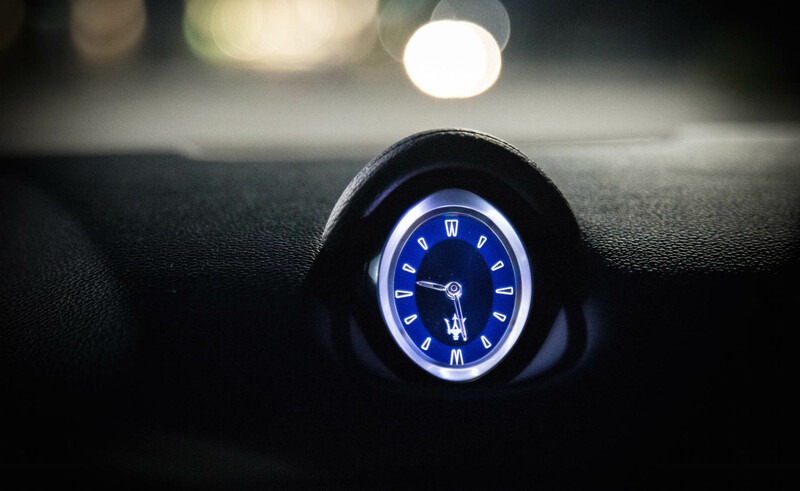 Analog clocks are also one of my favourite features inside an automobile, and this Maserati’s is no exception. 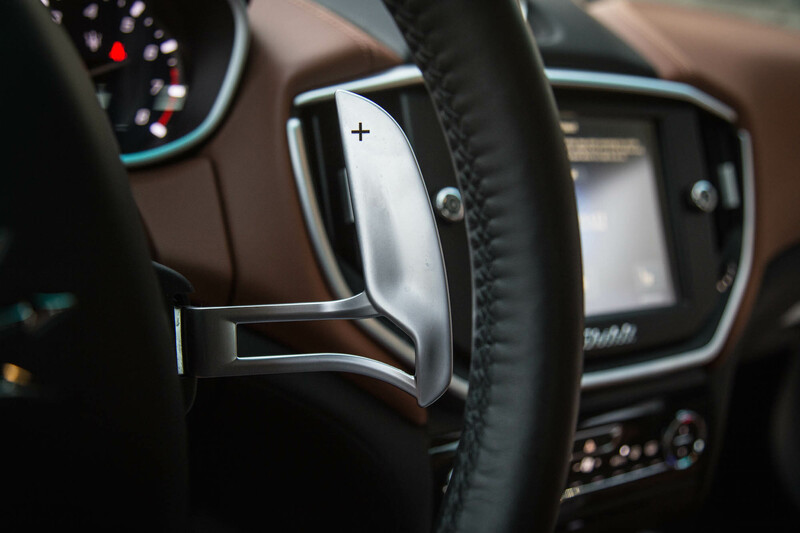 The stout gear shifter is new, though largely reminiscent of parent company FCA’s (Fiat Chrysler Automobiles) electronic shifter, which garnered many complaints due to its complex joystick-like nature to bounce back to its original center position after shifting to a gear. In all honesty, it does take some getting used to. More often than not, shifting from Drive to Park results in selecting Reverse by mistake. It’s a minor issue, yet some critics have been more outspoken and complained about the interior being married by FCA’s spare parts bin, like the start/stop button, window switches, buttons behind the steering wheel, and infotainment system, but I’ve tested driven countless Jeeps, Dodges, and Chryslers over the past few years and though the parts may look familiar to me, I’ve never once sat down in the Ghibli and thought it looked cheap. Maserati took all the best (and working) bits from its cousins and added its own sauce and creamy dressings. 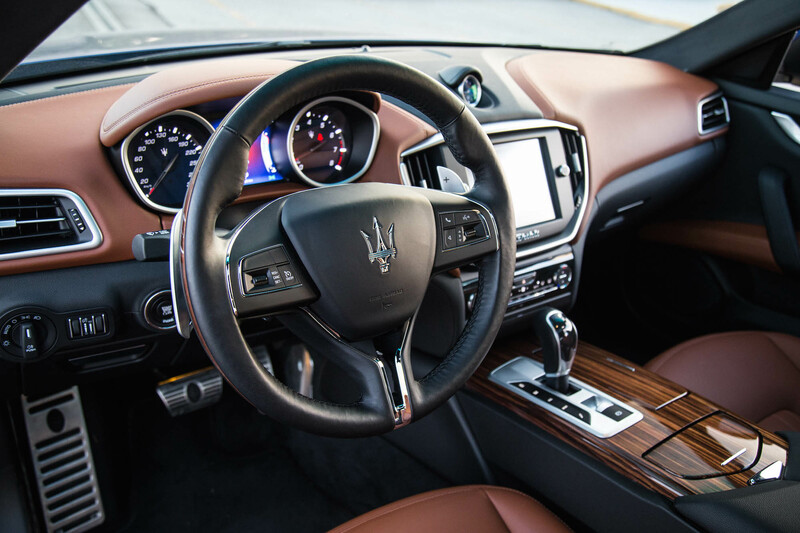 The Ghibli makes you forget about the little things by swathing you in rich leather, velvety textures, and one of my favourite steering wheels of all time, ranking right up there with BMW’s M Performance wheel. Oh, and did I not mention the sound it makes? Floor the gas pedal and the entire cabin swells up with the vocals of an Italian goddess. The BMW M5 gurgles with engaging blowoff valves, and the Mercedes-Benz E 63 AMG emits an alluring crackle and satanic burble, but the Ghibli hits the higher octave. 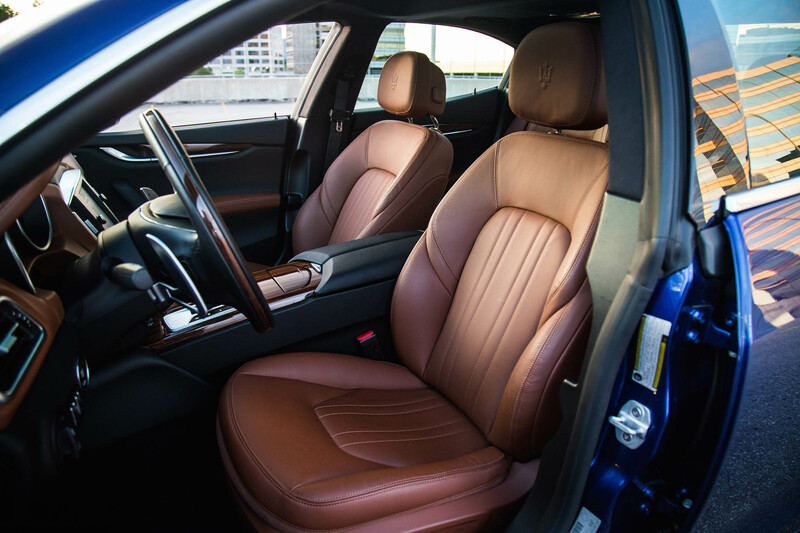 It delivers a classier noise and in the driver’s seat, it’s like having front-row seats to the most spectacular opera singer in Italy. The orchestra is deep and rich, filled with hints of Ferrari V8s hidden in the redline crescendos. 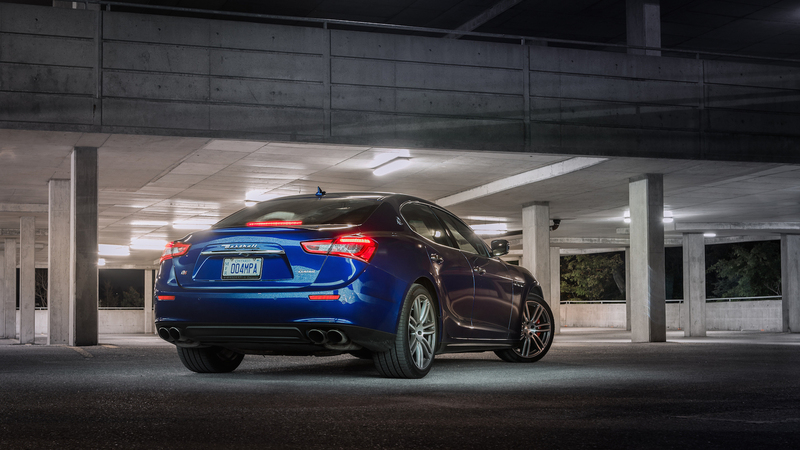 Standing centerstage is the 3.0-litre twin-turbocharged V6 lodged in the Ghibli’s throat. Those who have done their research will know that this engine actually started life at the Chrysler plant in Detroit. The aluminum engine block is machined there, where it is then cast and sent to Ferrari’s famous factory in Maranello, where it is then assembled. 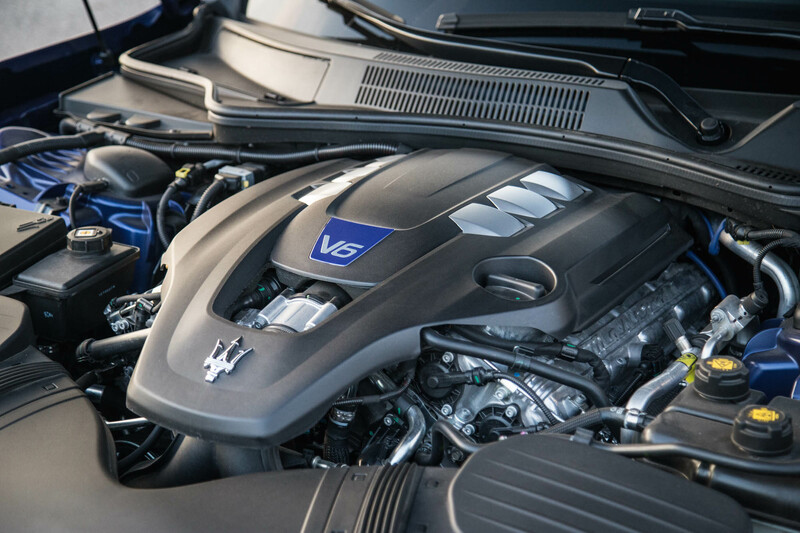 Don’t fret too much about its origins – owning a Ghibli still comes with the bragging rights of “having an engine designed by Maserati, made by Ferrari.” This force-fed V6 is also shared with its bigger brother, the Quattroporte. The Ghibli comes in two flavours, and both use the same V6 but with different outputs. 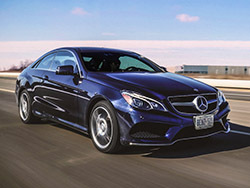 There is a base rear-wheel drive model with 345 hp and 369 lb-ft ($83,800), and an S Q4 all-wheel drive model with 404 hp and 406 lb-ft ($92,950), the latter of which we tested. 0-100 km/h comes in 5.5 seconds and 4.7 seconds respectively. 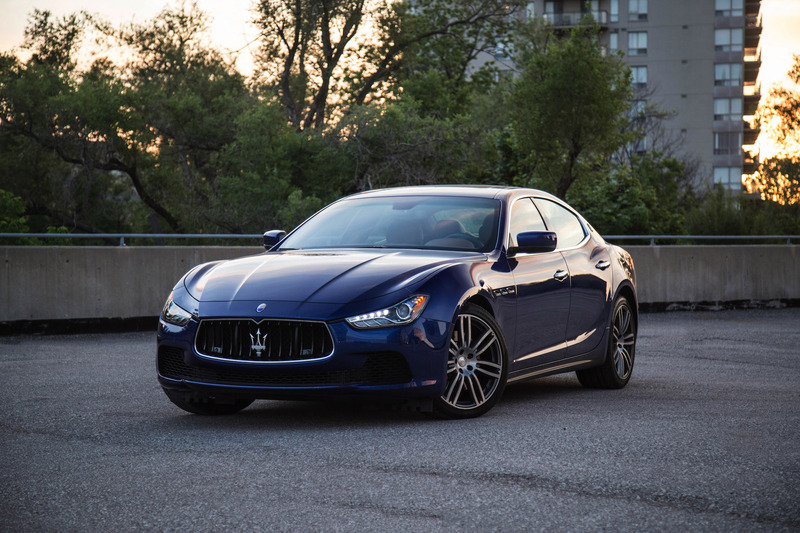 Snowbound Canadians are bound to spend the extra $9,150 for the more powerful all-wheel drive model, and they would also be glad to hear that the Ghibli is mighty quick. Don’t expect it to fling you forward like a Ferrari 458 Italia though, as there is still a fair bit of lag while you wait for the turbos to spool up. Once they’re piping hot and ready to go, acceleration is vicious but you do feel the 1,870 kg curbweight weighing you down. Good thing that it has got 404 horsepower on tap then. That, and phenomenal brakes to bring you to a halt. 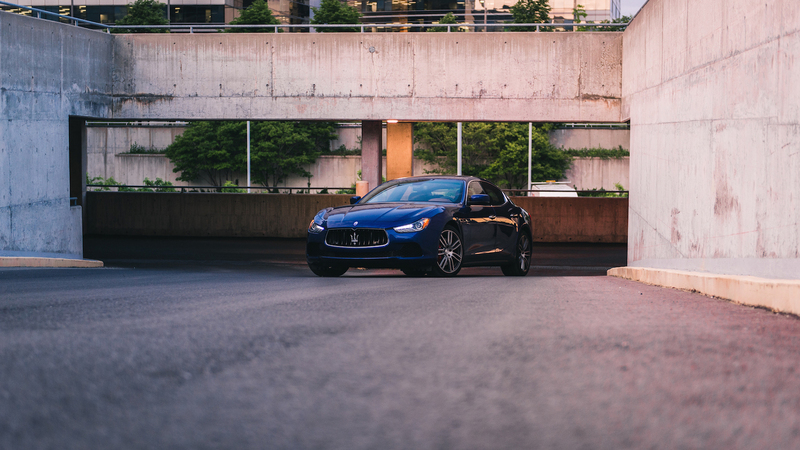 The Ghibli has two driving modes to choose from: Normal and Sport. 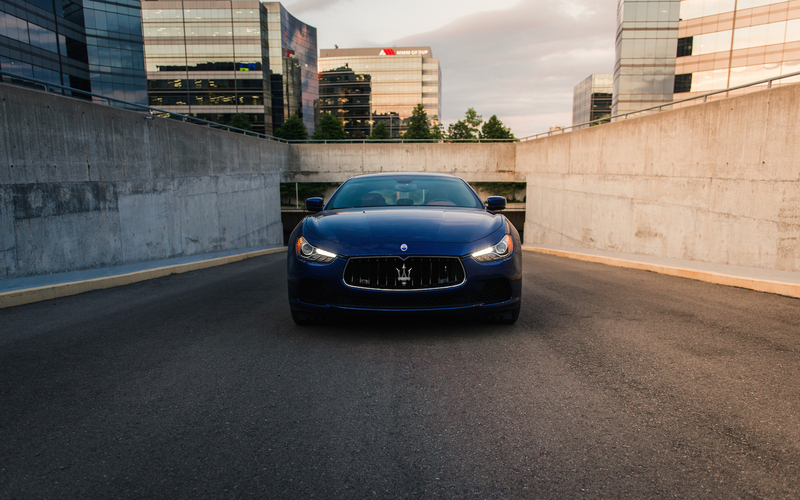 This mid-size Maserati can be a very docile creature when caged in normal mode, as it doesn’t do much to stir the soul. The steering is smooth, body control is good, and the exhaust valves mainly stay closed. 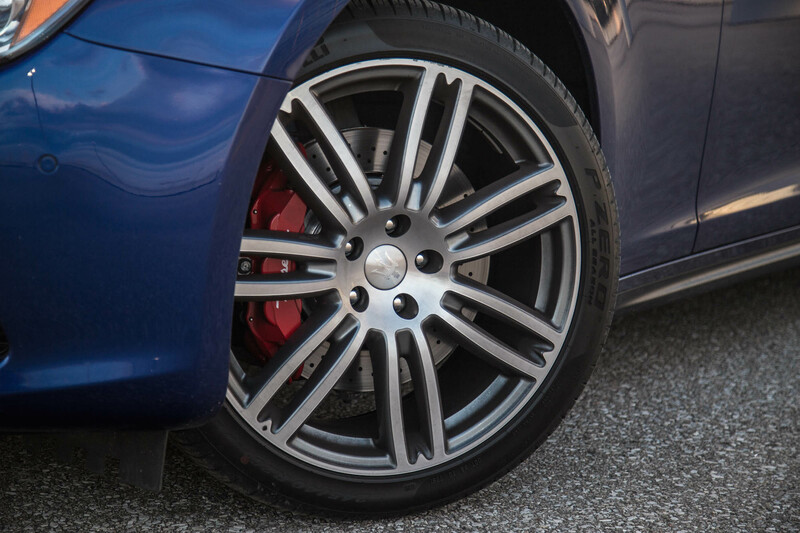 The Ghibli has got hydraulic steering, which is very well weighted with moderate feedback but suffers from a slow ratio steering system, meaning you have to turn the wheel more than usual to actually get the car to rotate – sort of dilutes the sporting feel. 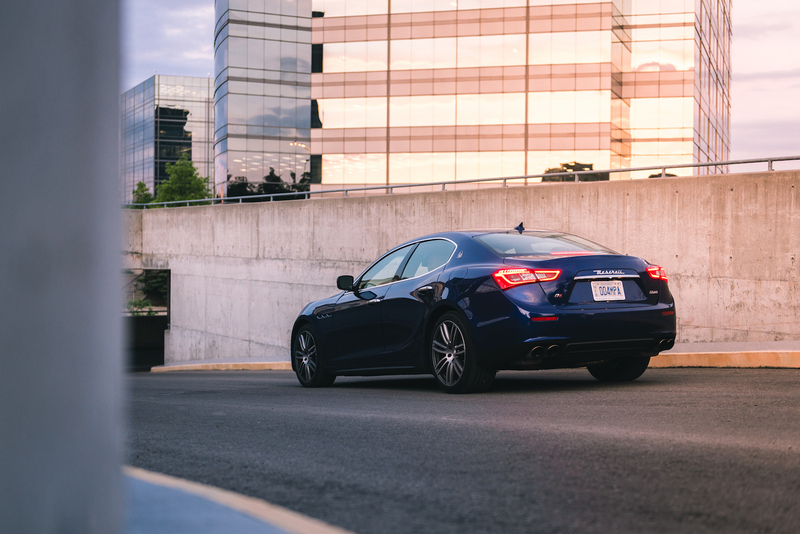 Our optional Skyhook adaptive suspension allowed us to choose between a comfortable or sporty suspension setting, the latter of which made the Ghibli feel very planted around corners. 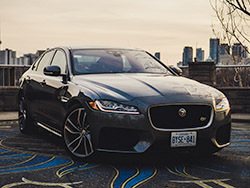 It felt noticeably firmer than a Jaguar XF and a BMW 550i, but was never jarring around town. 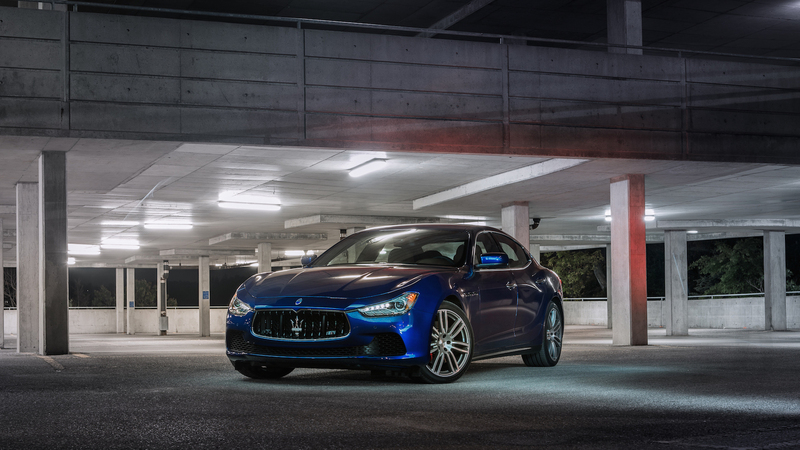 Fling the Ghibli into Sport Mode however, and it morphs into a totally different animal – Italians really know how to make a good sounding engine. Swing the needle past 3,200 rpm, wait for the exhaust valves to open, and the car will sing a mellifluous tune that will drop your jaw and raise those goosebumps. Throttle response becomes sharper, gear changes are held longer and swapped quicker, and the driving experience delivered is unmatched in this segment. When it comes down to brass tacks, there are only a few minor gripes worth mentioning. 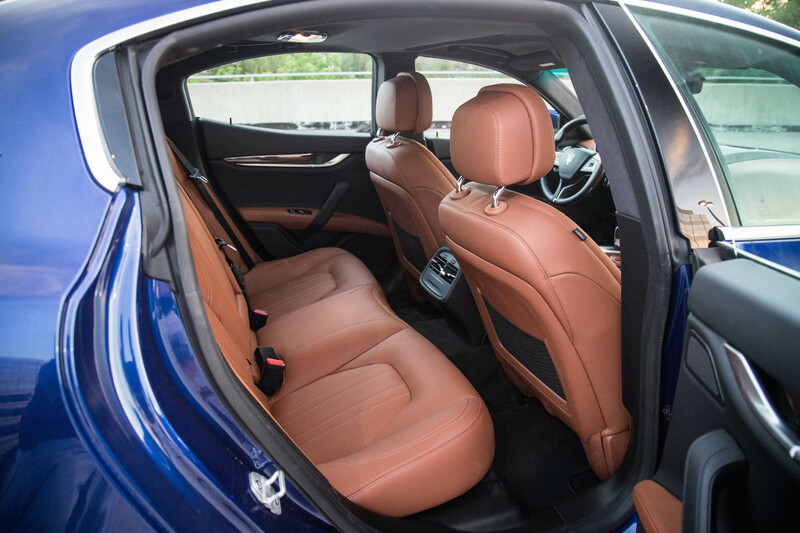 For a mid-size sedan, the Ghibli has surely got compact-size rear seat room. Small portal entries and a sloping roof make rear occupants cozy, and I can comfortably sit behind myself (I stand 6 foot 1 inch). However it’s certainly not as spacious back here as a 5 Series or an E-Class, but just about par with the Jaguar XF. The rear windows only roll down two-thirds of the way as well. 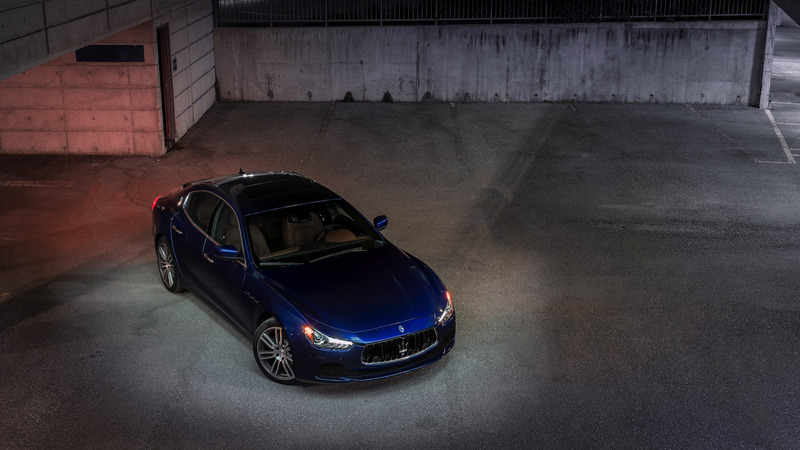 But when you look at the Ghibli’s starting price, you begin to realize that this is the first time Maserati has been in the realm of relative affordability. What used to be an entrance fee of over $100,000 into this prestigious Italian club is now under that amount. 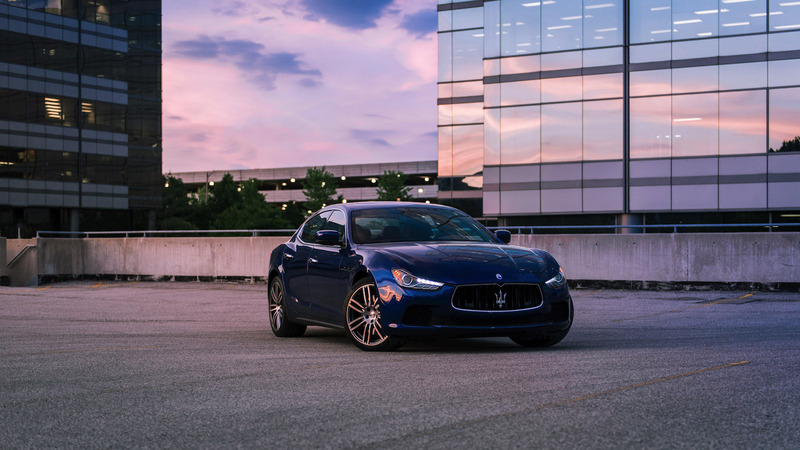 Maserati is knee-deep in the game, and by the sheer amount of excitement and unadulterated joy we have experienced with the Ghibli, we have no doubts that they will hit that sales goal. 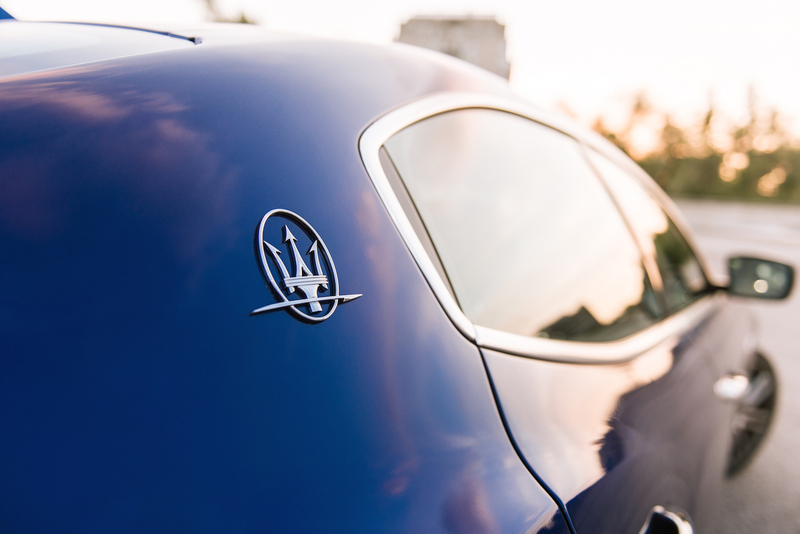 Because for the customer that wants to flaunt a bit of wealth but stay in the realm of practicality and exclusivity, the Ghibli is one of those rare Italian treats that will keep your heart pumping and ears orgasmic for many years to come.